Summers are here. That means that the probability of facing engine heat up issues can multiply to any extent especially if you have a relatively old car. Engine heat up can result in malfunctioning of various engine functions. And frequent overheating can indicate excessive wear and tear of your engine in most of the cases. Increasing temperature can be fatal for very older engines. Or in other words, extreme weather conditions can be fatal for older engines. But let’s just discuss about summers for the time being. Following are some useful tips to remember in case you feel like your engine is heating up. First of all keep an eye on the engine temperature gauge and engine check light in your speed-o-meter or dashboard. The engine check light will ignite before the engine starts boiling and steam starts billowing from under the hood. As soon as the check light glows, turn off your air conditioner and slide down the windows of your car. Your car’s A/C exerts a lot of load on your engine. And if your air conditioning unit has a worn out compressor, it is likely to exert extra pressure on your engine. Worn out A/C compressor can be detected by checking the head pressure and back pressure of your car on idling as well as on uniform acceleration. In case turning off the air conditioner does not prove vital in preventing your car from heating up and steaming badly, turn on the heater of your car. This will transfer some amount of heat from the engine to the cabin of your vehicle. Yes, it will make you more than uncomfortable in hot weather but you manage the release by changing the direction of your heater grills towards the window screens rolled down. Low coolant level can result in heating up your engine. In case your car heats up, lift the hood of your car keeping a towel in hand (to prevent your skin from excessive heat and boiling metal surfaces). Check the coolant level in your coolant reservoir positioned near the radiator. Most coolant reservoirs indicate coolant level with special markings. Refill your coolant reservoir if top up is required. Once you have lifted the hood, do not rush towards adding the coolant in your car. 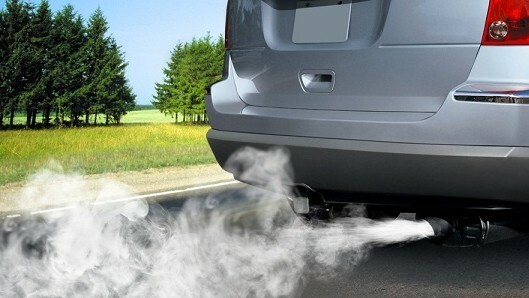 Let the steam evaporate and allow your engine to cool down to some extent. Moreover, do not touch any metal surface with bare hands. Do not open the radiator cap instantly when the engine is boiling. Opening the radiator cap in such a situation can be immensely dangerous. Allow the engine to cool down, afterwards add slightly warm water to the radiator if needed. Adding cold water in a hot engine can generate thermal stress which can ultimately result in severe damage to the engine block. 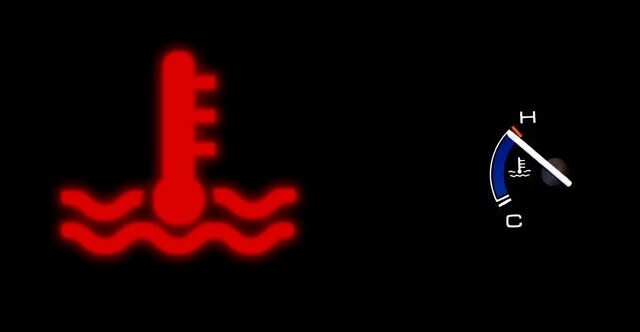 If you have found the coolant level to be on right, there must be variety of factors that have resulted in causing your engine to heat up. Blockage, detachment or damage in the upper and lower hoses of the radiator and heater hoses can cause engine to heat up excessively. Try to inspect some sort of detachment or blockage in the hoses. In case one of them is found disconnected, a simple reattachment would serve the purpose. In case of blockage, blowing the hose through air or water may remove the blockage. But in either cases, replacement of the hose with a new one would be recommended to avoid any further issues. After getting done with the A/C, heater, hoses and coolant level, do not drive on higher rpm before you have consulted an expert to know the actual cause of heat up. Keep your rpm low, do not accelerate too much and last but not the least, and do not turn on the air conditioner. After restarting your engine and driving off, keep a constant eye on the temperature gauge and the engine check light. Engine heating up does not necessarily reflect a problem with the engine. In some situations like traffic jams on hot sunny days requiring an infinite series of rapid and impulsive brakes followed by rev-ups can heat up the finest engines as well. Moreover, severe traffic jams in hilly areas can also result in heating up issues. Plus, rapid and sudden braking may also result in heating up your brakes, leading to brake fade, that will eventually leave you with no other option than waiting on a road side allowing your brakes to cool down. copy paste article tell me which Pakistani car has check engine light ? ?